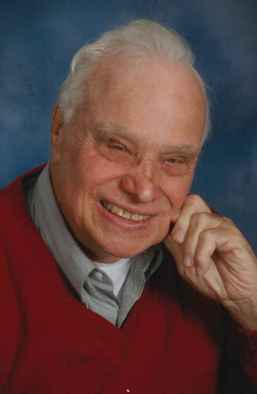 David L. Haynes, 86, of Fremont, OH passed away with his family by his side on Friday, August 18, 2017 at Bridge Hospice Care Center in Bowling Green, OH. He was born on October 20, 1930 in Fremont to George E. and Estella E. (Freeh) Haynes. He was a 1948 graduate of St. Joseph Catholic High School and attended Tiffin University. David served in the U.S. Navy Seabees during the Korean War where he was awarded the Korean Service Medal; United Nations Service Medal and the National Defense Service Medal. He married Muriel D. Mossing on May 8, 1954 in Adrian, MI and she survives. David was a self-employed carpenter and contractor. He retired in 1993. He was a member of Sacred Heart Catholic Church, Sacred Heart Men’s Association, K of C 3rd and 4th Degree and was an usher for over twenty years. He was a member of the Fremont Elks, Moose, VFW and American Legion. David enjoyed playing golf, fishing and traveling. He was also an avid blood donor with over twenty-seven gallons donated. David is survived by his wife of sixty-three years, Muriel D. Haynes, Fremont, OH; sons, Stephen M. (Maryjo) Haynes, Atlanta, GA, Kenneth D. (Brenda) Haynes, Tontogany, OH and Matthew A. Haynes, Fremont, OH; brother, Donald F. (Barb) Haynes, Williamsburg, VA; four grandchildren. He was preceded in death by his parents; daughter, Martha Haynes; siblings, Robert Haynes, Walter Haynes, James E. Haynes, Shirley Morrison and Elizabeth J. Haynes; grandson, Monty Haynes. Visitation: Tuesday from 2 – 4 pm and 6 – 8 pm at Wonderly Horvath Hanes Funeral Home and Crematory, 425 E. State St, Fremont, OH. Mass of Christian Burial: Wednesday, August 23, 2017, 11:30 am at Sacred Heart Catholic Church, 550 Smith Rd, Fremont, OH. Burial: St. Joseph Cemetery, Fremont with a Military Service provided by the American Legion and VFW. Please know our thoughts and prayers are with you in your time of loss. He was one great guy with a heart of gold.. So sorry to hear of Dave’s passing. Whenever we have carpentry work we always compare it to Dave and Herb’s quality craftsmanship. Nothing can compare! May he rest in peace. SORRY FOR YOUR LOSS. MY PRAYERS TO THE FAMILY. So sorry to hear of your loss. Always enjoyed seeing Dave and talking with him. He will be missed. Prayers to all of you at this time and always. Uncle Dave’s smile lit up a room and will live forever in our hearts. Love and blessings to Aunt Mimi and my cousins. Scott will miss Dave’s stories and his conversations at the K Of C. Martha will miss seeing him when our group cleaned the church. Prayers and condolences to Muriel and her family.